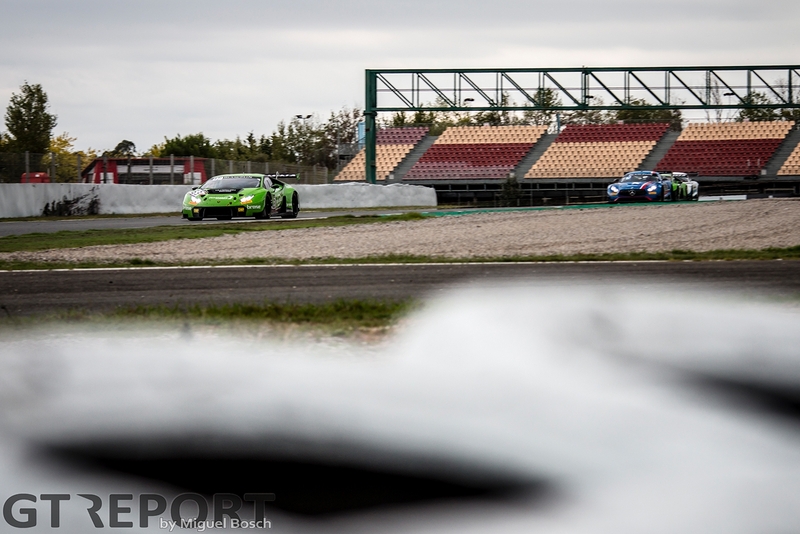 Dark clouds are gathering over Montmeló as 49 GT3s line up on the grid for the Blancpain GT Series season finale at Circuit de Barcelona-Catalunya. 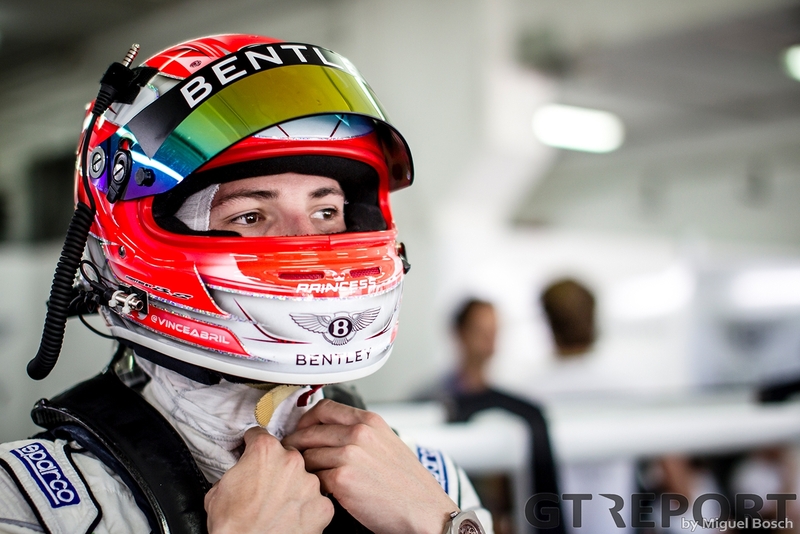 Gottfried Grasser wishes his drivers the best of luck before they go out to conquer the Blancpain GT crown. His Grasser Racing Team is about to embark on its most crucial 3-hours in its seven-year history. In all that time, the Lamborghini team has never been this close to a championship title. These dark clouds do not gather over Grasser Racing. Cracking through the clouds every once in a while, the sun shines for them: first row on the grid after a superb qualifying performance in the morning leaves starting driver Christian Engelhart clear of danger going into the first combination of corners. Far back, struggling in the wet qualifying, Vince Abril sits down in his M-Sport Bentley Continental GT3. The young Frenchman fastens his seatbelts and prepares to take it to the green with an endless stream of cars on his horizon. He’s on top of the standings in the Endurance Cup, but will have to give hell to keep Grasser Racing from running away with it. If everything goes to plan for Lamborghini, it seems unlikely that Bentley stands a chance—the distance between seems too big to overcome. But it doesn’t go as planned. When the lights go out and the field storms over the long downhill straight into the first turn, Engelhart sinks like a brick as he can’t get his Pirelli tyres to heat up. 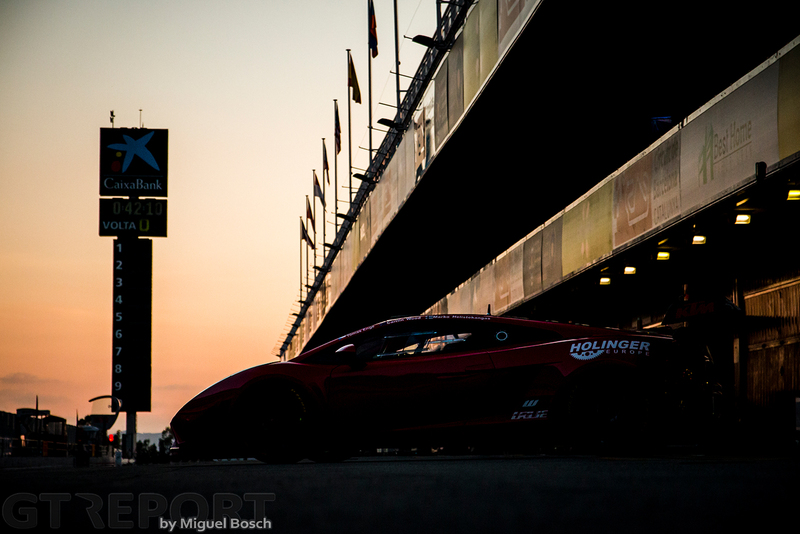 When the attacks on the Lamborghini Huracán GT3 have calmed down, Engelhart has dropped back to ninth place, a position not enough for the Endurance title. In the fight for the lead polesitter Stuart Leonard has held on at the start. The number 17 WRT Audi R8 LMS GT3 pilot isn’t going anywhere: teammate Marcel Fässler in the number 5 WRT Audi is right behind him, putting the pressure on in the opening laps. 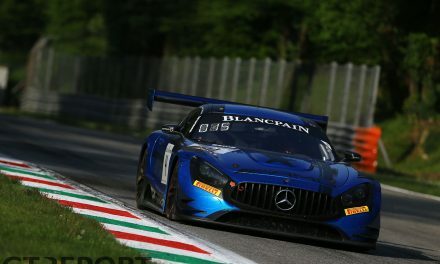 Fässler can’t afford to waste any time behind Leonard as Franck Perera in the HTP Motorsport Mercedes-AMG GT3 and AKKA ASP Mercedes-AMG GT3 racer Daniel Juncadella are both prowling for first, with more cars closing in. Under the pressure from the world-class racers behind him, Leonards chokes. Braking for La Caixa, the Blancpain GT Sprint Cup champion overshoots it. 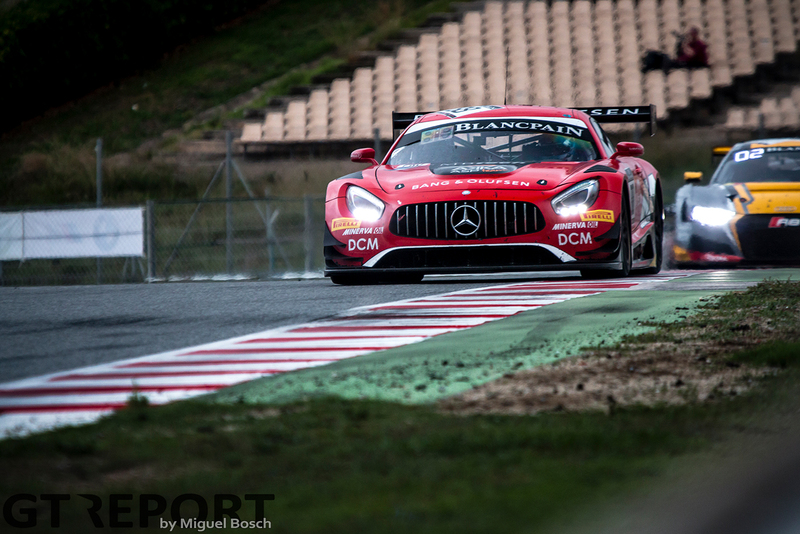 Fässler and Perera seize the opportunity, Juncadella moves in to the Audi’s rear. 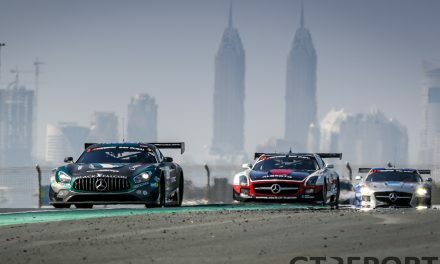 For the moment, Juncadella is stuck behind Leonard. Fässler and Perera break away, dueling for the lead as they build a gap, while Juncadella needs another ten minutes before he too can go past the Audi and start the pursuit from third place. Engelhart, meanwhile, is holding on to ninth. He’s not making any moves to the front, but at least he lives to fight another stint. There is, however, the worry about Abril. The Bentley Boy has been making big strides in the opening laps and by this point has made his way up the field into 17th and is closing in on the Lamborghini. Abril races like a man on a mission. That mission: winning the championship. Slowly as the end of the first hour draws near, the first cars up and down begin to come in for their service and driver’s change. Where WRT and HTP decide on an early pitstop, Juncadella keeps going. The Catalan puts down quick lap after quick lap to give the AKKA ASP AMG the upperhand when he eventually hands over to Félix Serrallés. Seconds clear of the number 17 WRT Audi of Jake Dennis, HTP’s Jimmy Eriksson and number 5 Audi’s Will Stevens, Serrallés begins his stint in the lead of the race. 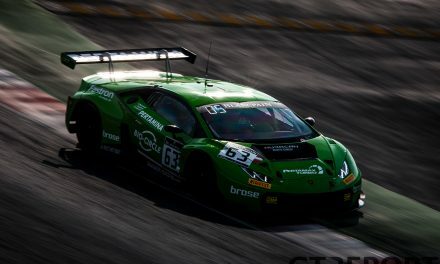 Things are looking up for Grasser Lamborghini’s Andrea Caldarelli as well. No longer hindered by tyre problems, he mounts the attack for fourth. In just one lap he overtakes three AMGs—two of them in one go—to push through to fourth. Minutes later third-placed Stevens falls prey to Caldarelli’s determination as well. 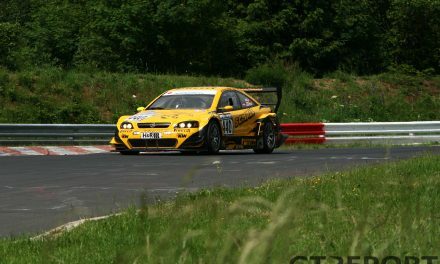 Grasser is back in form and showing. The Austrian-Italian squad is still not completely in the clear, however. Andy Soucek, having taken over the Bentley from Abril, still believes in it. 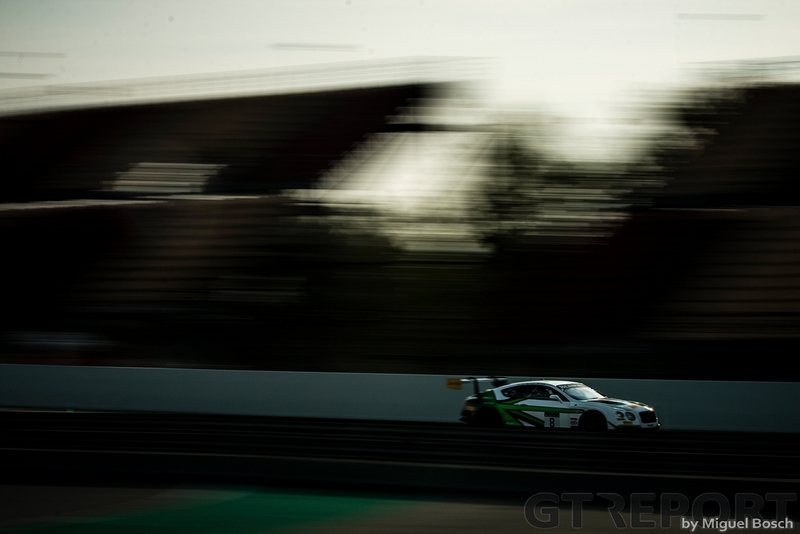 Alexander Sims in the Rowe Racing BMW M6 GT3 and Emil Frey Racing Jaguar XK GT3 driver Jonathan Hirschi are given no time to breath as Soucek starts a fight with them over the first of the points-scoring positions. Neither the BMW nor the Jaguar driver are willing to be just put aside and in the heat of the moment Soucek and Hirschi come to blows when Hirschi taps the Bentley on the rear bumper to take back his tenth place. The contact is slight, but enough to knock the Continental’s gearbox out of place. All seems fine with the Bentley for some laps, but gearbox failure is imminent. Suddenly the Bentley Continental GT3 loses all power and comes to a halt in pitlane. M-Sport’s rush to the car to push it into the pitbox for inspection, but by then their title bid has withered away, Soucek realises, as he sits down on the hard pitlane concrete in disbelieve. The fall of Bentley clears the way for Grasser to take to the championship. All they need to do now is hold on. Caldarelli ends his stint and lets Mirko Bortolotti take over to bring it home in the final hour. The Lamborghini superstar might in any other circumstance go for victory, but with Robin Frijns pouring his heart and soul into an hour-long battle with AKKA ASP’s Tristan Vautier to take the win, the Italian thinks the better of it and settles for third with the bigger picture in mind, leaving the AMG and Audi teams to fight it out amongst themselves. Even after the last seconds of the 2017 season have ticked away, Frijns won’t give up. The Audi driver—never one to simply accept defeat—makes one last attempt at the leader, but Vautier really wants the win as well. After the season of misfortunes they’ve had to endure and with the win within arm’s reach, first place is all that counts today for the Frenchman. Frijns can brake as late as he wants, Vautier won’t give in. 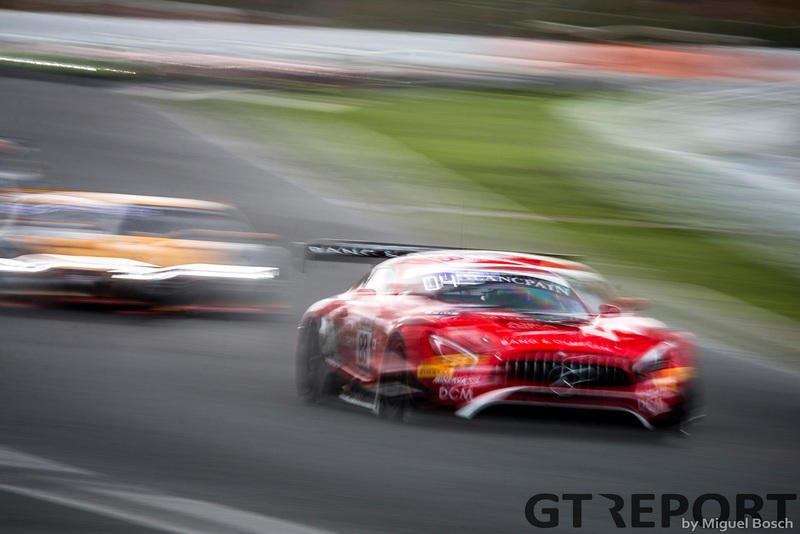 The red-coloured AMG races first out of the chicane and is first to the chequered flag. No one cheers louder in the AKKA ASP pitbox than Dani Juncadella. The victory he has been waiting for all year comes a stone’s throw from where he grew up, under the smoke of his Barcelona. The time is up, the finish flag is out, the race winner is in. The wait for Bortolotti to cross the line isn’t long. In a celebratory cloud of tyre smoke he races past his team hanging over the pitwall, heralding their driver with applause and waved fists in excitement. Three years of scrupulous work together with Lamborghini Squadra Corse has accumulated to this moment. What started in 2011 as a rag-tag race team, grew up to become Lamborghini’s go-to crew and today became Blancpain GT champions.